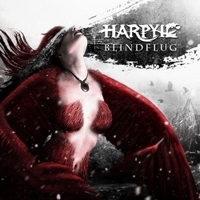 A debut album from the German band Harpyie, a band living in a world of witchcraft and adventure, and now they try to put music to their atmosphere. Nice try but they may not reach the largest crowd in the music world, that is one thing, another far worse is that their music is endless repeats of their very limited capacity in the songwriting. This is a shame because the topic of folk metal is interesting enough, but Harpyie is not adding to this interest. Their only song which is not boring techno folk metal is a song called Legenden, where the style is soft singing with quality, and violins to create a good background with some balance and musical ideas. The other 9 songs are something to be improved.